The premier league returns early this week and with it so does the deadline to set your team for Fantasy Premier League Gameweek 18. 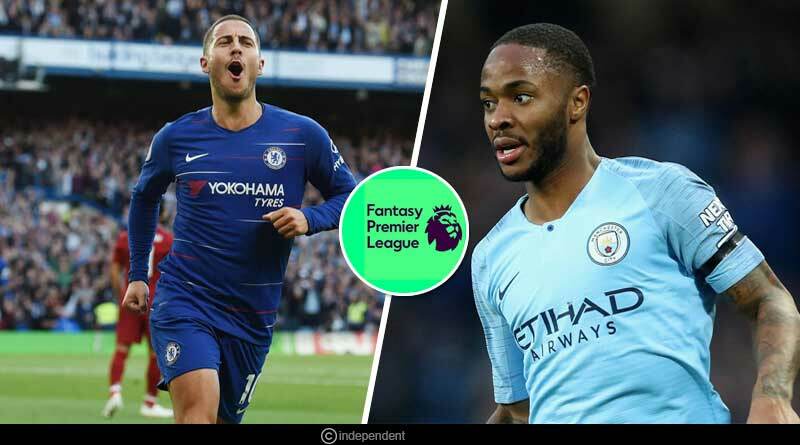 With a deadline of 12:30 am on Saturday morning, we are back early this time around with our fantasy premier league picks, captaincy choices and players you should be looking to get in your side ahead of a hectic, jammed festive period. With 3 gameweeks in the next 10 days, FPL is all about having a strong bench at the movement. There will be heavy rotation in the league as managers look to keep their squads fresh and injury free and nothing will be more important than a playing bench who can come into your side to give you crucial points. Our fantasy premier league gameweek 18 picks see us handing Sterling the captain’s role and going in with a formation of 3-4-3. With Crystal Palace traveling to Manchester City, the hosts should manage to completely shut out their opponents from the game. Crystal Palace isn’t known for scoring a lot away from home and this match should help Ederson get back among the clean sheet points. Wolverhampton is always a tricky fixture and Liverpool will face a barrage of attacks by the hosts who’ll not be fazed by the identity of their opponents. While the going will be tough for the table toppers in this week’s opening fixture, Liverpool has been defensively stout this year and we expect them to keep a clean sheet against a ruthless Wolverhampton side. With his ownership dwindling over the weeks owing to his slump in form, now could be the time to snap up Alonso on the low. He is a player who doesn’t fail to return for too long and against Leicester not only is his clean sheet more or less guaranteed but he could very well reward you with an assist and goal as well. Doubling up on Chelsea’s defence looks to be the safest bet this week with Luiz offering good value for money. At 5.8m, he is also the cheapest way to Chelsea’s defence who have a tasty set of fixtures lined up and his position in the squad is unmovable, ensuring you get a rotation risk free player in him. Back on the radar with his 13 point haul last week, Hazard is looking ominous and a must have. He’s been favoured to lead the line for Chelsea with manager Sarri not trusting Giroud and Morata and the new role is seeing him reap the benefits. Leicester have been in shambles this year and Chelsea’ chief orchestrator Hazard will without a doubt make merry against them. Having played just around half an hour in midweek, Sterling looks set to make Manchester City’s playing XI this gameweek. He’s our captaincy choice against Crystal Palace, a match which will see City pile on the goals with all certainty. His recent hattrick against Bournemouth has seen Salah’s stock go up for the first time this season. He’s been Liverpool’s main threat going forward and looks to have rediscovered his touch from last season which makes not owning him a real rank breaker. Despite facing not the easiest match with Tottenham coming calling, we have still decided to go up with Richarlison in our fantasy premier league gameweek 18 picks. Tottenham have not been the most astute this season at the back and Everton will be wanting to show that they can put up a real fight against the big boys as a testimony of their progress this season. Brighton is a side who is not famous for its ability to keep clean sheets and Bournemouth will prosper from this, none more so than their striker Wilson who is now fully fit. A cheap and not so highly owned option, Murray can be a real gem to your side during this congested period. Brighton always has a goal in them and Murray has led the line to perfection this season, using his skill set to perfection to find the back of the net. Failing to justify his high price tag over the past two gameweeks, Burnley at home is just the match Aubameyang could bag a goal or two. If you still have him then we would recommend giving him another gameweek before deciding on his fate in your side.